A blend of vitamins and minerals in a chewable tablet for children. There are 13 vitamins your body needs. 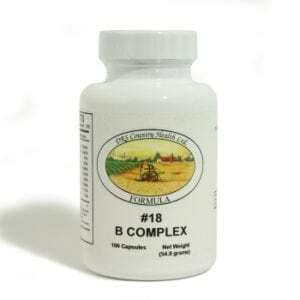 They are vitamins A, C, D, E, K and the B vitamins. Many of the vitamins your body needs you can get from the foods you eat. However, with today’s diet of quick, cheap, and easy it is essential that we take nutritional supplements to ensure our bodies are receiving the vitamins we need. Each vitamin has specific jobs. If you have low levels of certain vitamins, you may develop a deficiency disease. For example, if someone doesn’t get enough vitamin D they could develop rickets. Some vitamins may help to prevent medical problems. Vitamin A, for example, helps to prevent night blindness. The best way to get just enough vitamins is to eat a balanced diet with a variety of foods. For optimal health, a daily vitamin is suggested. 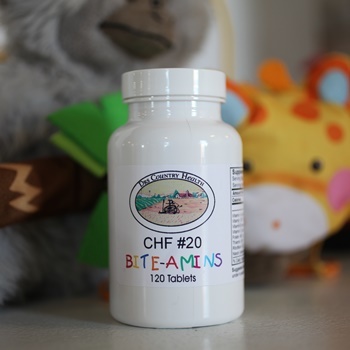 For kids’ optimal health, CHF #20 is a great choice. 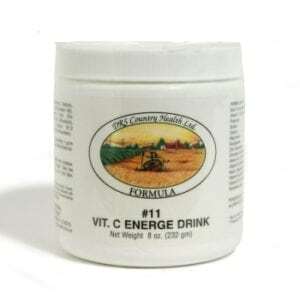 DESCRIPTION: A blend of vitamins and minerals in a chewable tablet for children. 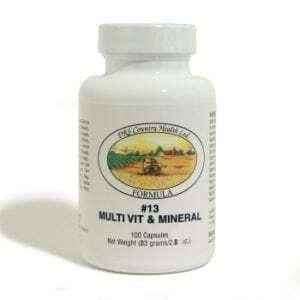 INDICATIONS: Use CHF #20 when a daily Multi Vitamin and mineral is needed for children. **%Daily Value are for adults and children 4 years and older. OTHER INGREDIENTS: Xylitol, sorbitol, stevia, inositol, spirulina, natural mandarin & coconut flavors, magnesium stearate (vegetable). SUGGESTED USE: Children 4 years and older, chew 2 tablets daily; under 4 years, chew 1 tablet daily or as directed. SUPPLIED: 120 Tablets per bottle.